There are some snow showers in eastern North Dakota and western Minnesota this morning heading to the east. A quick 0.1″ or 0.2″ of fluff can be anticipated with these showers. The wind will likely blow the snow off the roads and sidewalks pretty fast, but the usual caveats of caution when any moisture is on the roads. Additional flurries or snow showers would be possible this afternoon as well as some periodic bouts with sunshine may be enough to create some pockets of flurries or small snow showers. 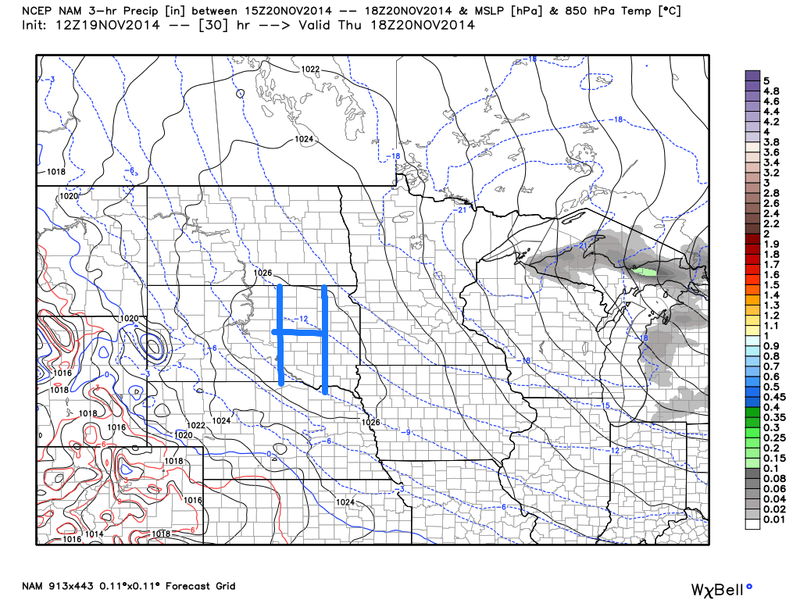 Besides these small pockets of snow showers, the wind will probably be the most noticeable element of today’s weather. 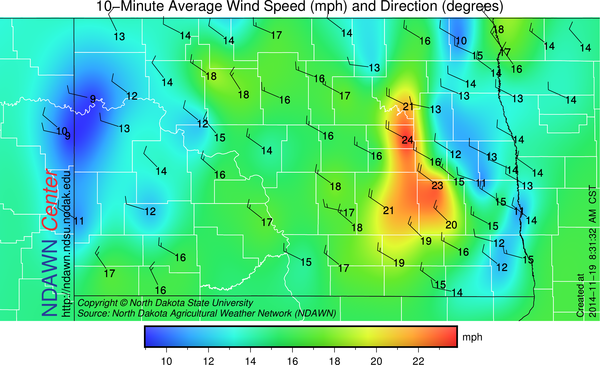 Wind speeds this morning were already in the 15-30 mph range with the strongest wind in the eastern part of North Dakota into western Minnesota. That same area will likely experience the strongest wind all day long as the tightest pressure gradient in currently in that area and that gradient will likely move to the east slowly during the course of the day. High pressure currently centered in the prairie provinces of Canada is expected to slowly move south into North Dakota tonight and the wind on Thursday is expected to be much lighter than what is occurring today. As that high pressure moves southeast, the wind will be picking up again on Friday from the south and increase into at least the 15-30 mph range once again. On Saturday a clipper system will move to our north, bringing with it a “warmer” day with temperatures likely getting above the freezing point, even some lower 40s not out of the question. On Sunday a low pressure system will move into the Great Lakes and a disturbance in Canada will slide across North Dakota and get caught up into the stronger low in Wisconsin. That still has potential for some accumulating snow across the area on Sunday Night into Monday morning and as the storm winds up over the Great Lakes a strong north wind will be developing on Monday. 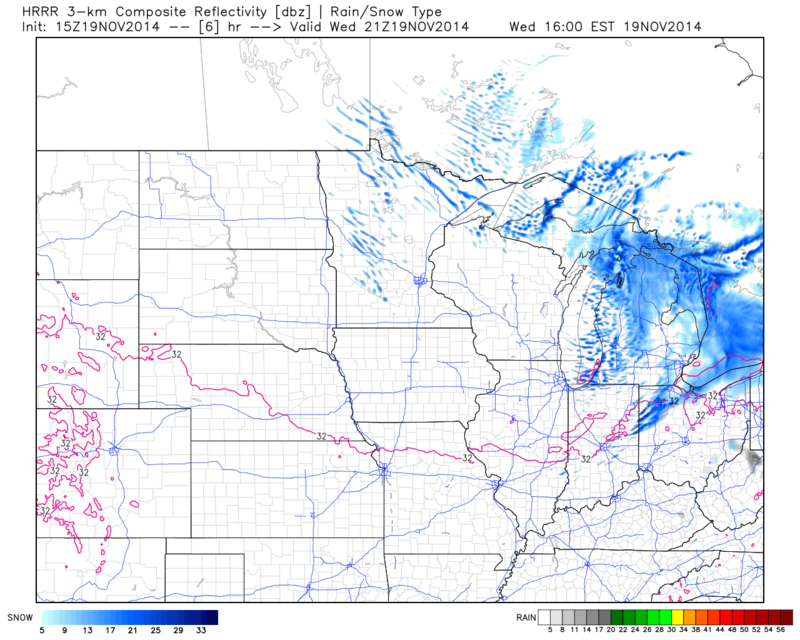 With any snow that falling preceding that increase in wind will come the potential for travel difficulties.